Robert Taylor ("Ivanhoe") delivers a powerful performance as the pilot of the Enola Gay who dropped the first atomic bomb on Hiroshima. Troubled by his actions, he struggles to cope with his guilt and his marriage. Based on the true story of Col. Paul Tibbets. 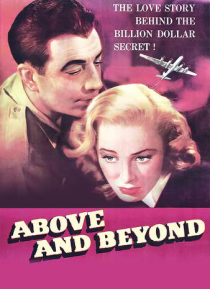 Co-starring James Whitmore ("Battleground") and Eleanor Parker ("Interrupted Melody").